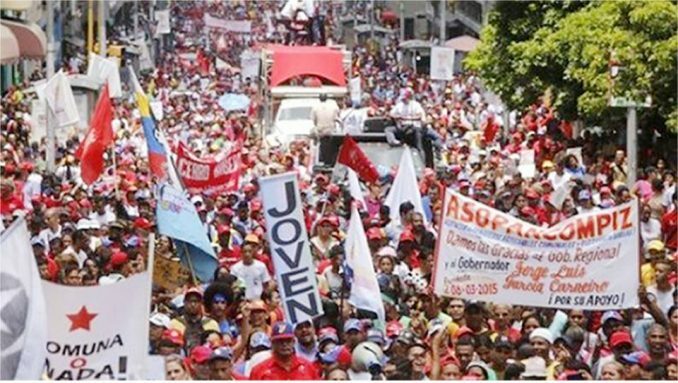 Venezuelan commune movements march in support of the upcoming Constitutional Assembly and the struggle for the Bolivarian Revolution. In Mexico, the government of Enrique Peña Nieto ignores the just demands of the mothers and fathers of the 43 Ayotzinapa student teachers and continues to kill, threaten and snoop with illegal eavesdropping — as in the Pegasus case, which involves Israeli software sold to the Mexican government for the surveillance of journalists. In Honduras, activists continue to be murdered. In Colombia, threats and killings continue against Indigenous people, peasants, union leaders, human rights defenders and other activists. Yet the Organization of American States doesn’t even mention these crimes and instead attacks the Bolivarian government of Venezuela, calling it repressive and covering up what is really going on in that country. But for its hostile campaign against Venezuela, Washington depends on the rightist liar Luis Almagro, who as OAS Secretary General leads that intervention with the active support of the governments of Mexico, Argentina, Brazil, Colombia and Peru, among others. Respect the decisions of the Venezuelan National Assembly, whose majority opposes the government and where right-wing political organizations such as MUD and Primero Justicia, intellectual authors of the days of violence, are found. We need to remember that the National Electoral Council has already published the municipal election agenda for December 2017, but the opposition is trying to unconstitutionally accelerate this process. The so-called “political prisoners” have been responsible for destabilizing the country and for 43 deaths caused by their calls for violent “guarimbas” (street clashes) in 2014. This intervention is at the level of “international diplomacy” that under the guise of seeking “democracy” reflects what’s happening on the ground. Together with the Venezuelan counterrevolutionaries, the U.S. is attempting to force regime change. Under headlines such as “Crisis in Venezuela,” the news media want to project the image that “the people” in general oppose the government. The international media omit the details of the cruel methods of the counterrevolution’s violent confrontations that illustrate its aggressive nature. The demonstrators are described as peaceful people who only want a country in peace. But while the forces of the Bolivarian state are prohibited from using their weapons against demonstrators, and may only use tear gas and water cannons, the counterrevolutionary terrorists are attacking with deadly homemade weapons. The media omit reporting the findings of the Sebin, the Bolivarian National Intelligence Service of Venezuela, which has been apprehending and dismantling some counterrevolutionary cells. “The Sebin director also said that Plaza Altamira, located in the Chacao municipality, governed by opposition mayor Ramón Muchacho, is the center of operations of reactionary opposition sectors. Violent groups fired incendiary bombs at the Carlota Air Base on June 22. They alleged that a young man was shot and killed point blank at the hands of an Air Force sergeant guarding the base. The opposition has spread this story as “proof” of government repression. After investigations, the person who was identified as responsible is being subjected to relevant legal processes. However, it’s necessary to emphasize the following: What is happening in Venezuela is a strong counterrevolutionary attack trying to overthrow the legitimately constituted government. It is a coup attempt. How do you respond to an attack on a military base? We must point out that the counterrevolutionaries have tried at least 10 times to attack the base. If we recall the beginning of the Cuban Revolution with the assault on the Moncada Barracks in 1953 — in that case on behalf of the poor and exploited people, unlike the counterrevolution in Venezuela that operates to benefit the oligarchy and imperialist powers — we will realize the importance of an attack on military installations. The total lack of coverage by the corporate media of what is happening in the inner base of the revolution, the poor neighborhoods, is also significant. The actions of the masses concern not only their demonstrations in defense of the revolution, but above all their daily life and strong decision to guide the country on a path of peace, working daily, developing skills, building the homeland, as people say there. And, above all, emphatically ­rejecting the violent processes of the counter­revolution. It is these core people who are the key to success. Hence the importance of the Constitutional Assembly, which would give the people the opportunity to forge their own future and to deepen the revolution. The situation in Venezuela is highly complicated. The Bolivarian revolutionary process and its future are currently the main topic of debates throughout Latin America and the Caribbean. Revolutionary groups and parties analyze not only present and past events, but the very behavior of the revolutionary government — its successes and its errors, its deviations in deepening the revolution toward socialist development — and many even offer recommendations. These analyzes run from the most critical of the government of Nicolás Maduro to those who excuse all its actions. What unites the great majority of these analysts is their defense of the Bolivarian process in the face of the U.S. imperialist onslaught. Today they see this process as crucial for the very survival of the progressive gains and movements in the region. Along with these debates, there has been a great wave of solidarity with the govern­ment and with the Bolivarian people. 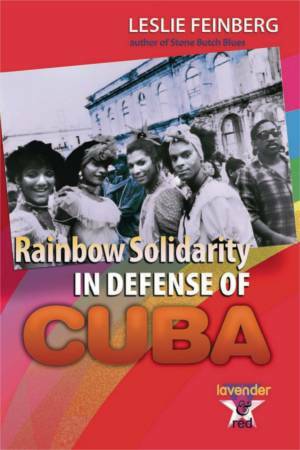 These expressions of solidarity include messages, street actions, forums, resolutions and statements from governments such as Cuba, which show unconditional support for the revolution. One of the most recent solidarity actions came not from Latin America but from Mozambique in Africa. It is up to the progressive movements in the United States to increase and expand their solidarity with the Bolivarian revolution by exposing, denouncing and combating the imperialist policy of the Pentagon, the White House and Wall Street. Say no to the intervention of the OAS/USA in Venezuela! Long live the Bolivarian Revolution and the international peoples’struggle!